This helper allows you to graphically reorder commits during "git rebase -i"
It avoids all sorts of problems when manually editing rebase todo files. 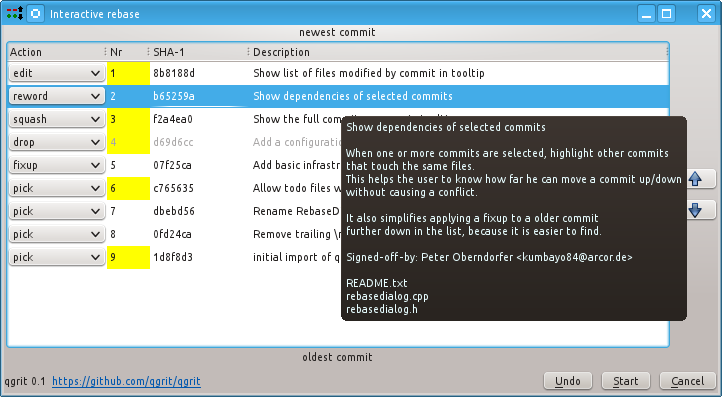 Commits can be moved/reordered by Drag & Drop or by up/down buttons. 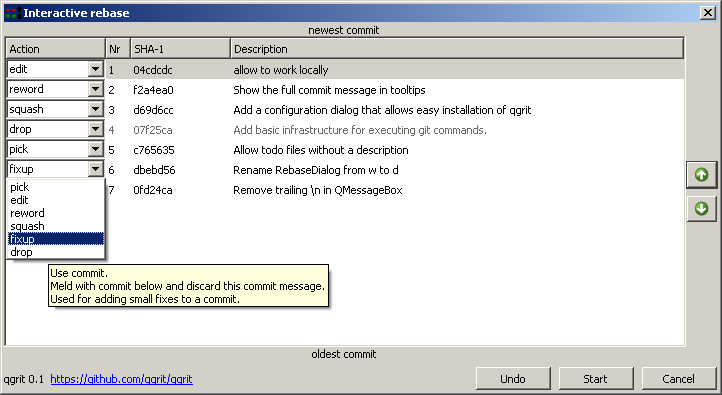 Actions for modifying commits can be selected from a combo box. Handle files only containing noop, happens when starting "git rebase -i HEAD"